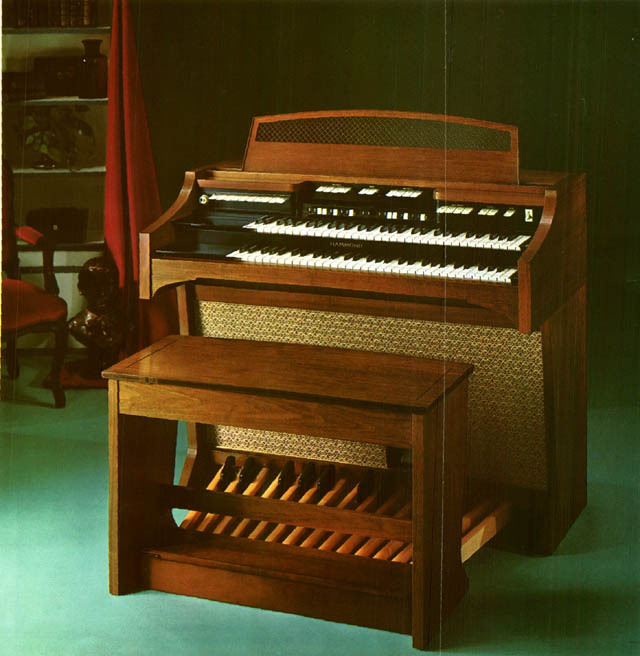 Ethel Smith: Weird Organ Lady or Mondo Organista? Can you Identify this Hammond played by Robin Richmond? 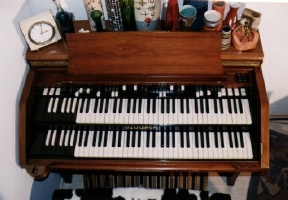 The picture of Robin Richmond is of a UK modified Hammond done by the then UK importers Boosey and Hawkes these were sold as "La-Fleur" so as not to lower the tone of Hammond in the classic market at the time! I hate to be the one that said I told you so, but this book is the real thing. 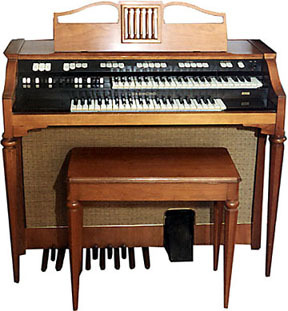 Here is an interesting Hammond....An Aeolean/Hammond Player Organ. 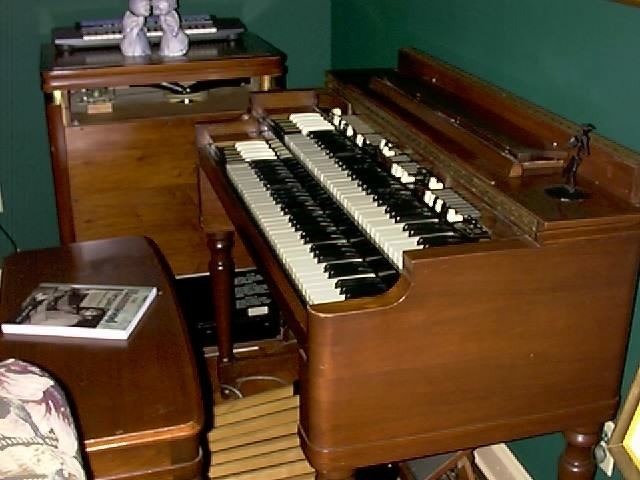 Do you have an interesting Hammond? We would love to end up with a picture of every model of Hammond online. 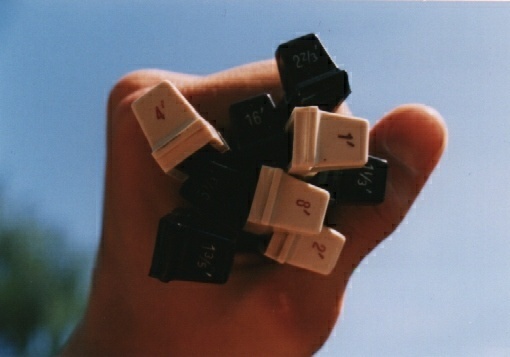 If you have a picture of yours, send it in! 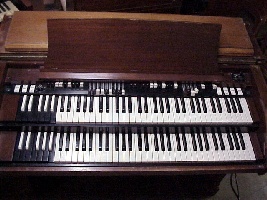 How about a genuine factory Hammond that weighs only 4 lbs? 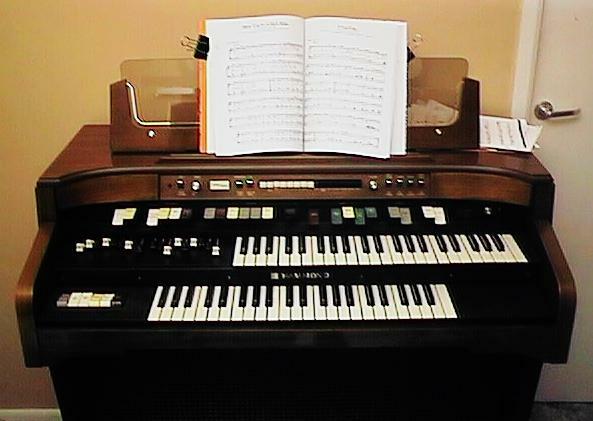 A Must Have video in any Hammond Collection!!! Bathing Beauty, 1944, Red Skelton , Esther Williams , and Ethel Smith . 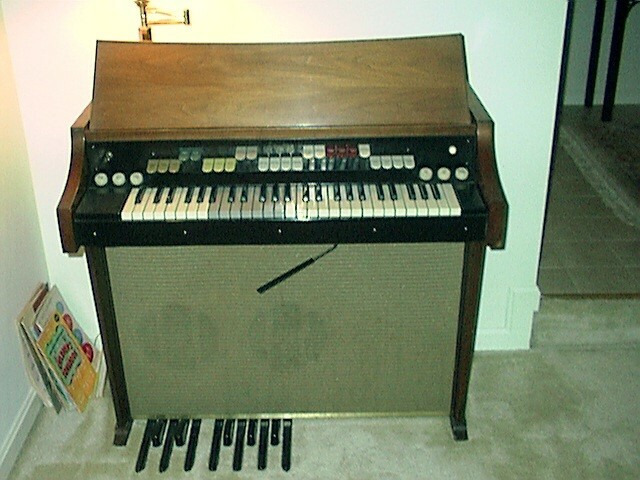 Ethel plays the Hammond a couple of times in this one. Including Tico Tico. Ed Wood, 1994 Starring: Johnny Depp. A party scene features Korla Pandit, of all people, playing the Hammond, just like he did on TV in the fifties, when the film was set. 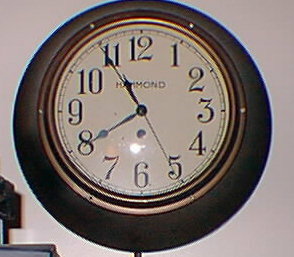 Here is a Hammond Wall Clock from days of old. 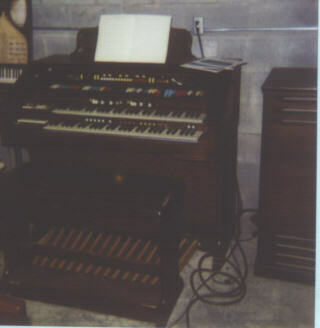 Then, these shots are by John Ledwon of an A and a BC console-notice the lone white drawbar on the far right side above the stop/run switches. This controlled mixing of the two tone generators. 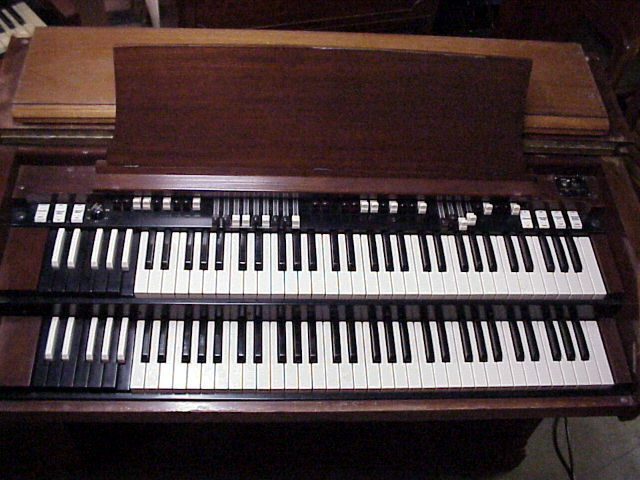 Photos of a friends A model Hammond. 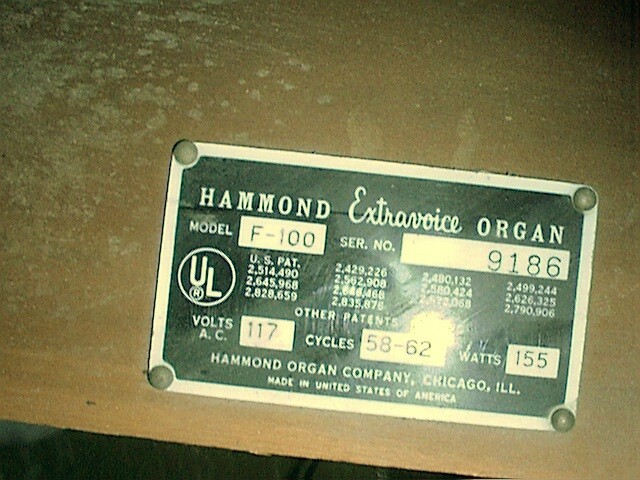 This Hammond has a serial number of something in the 800s so it is among the first thousand Hammonds ever produced. 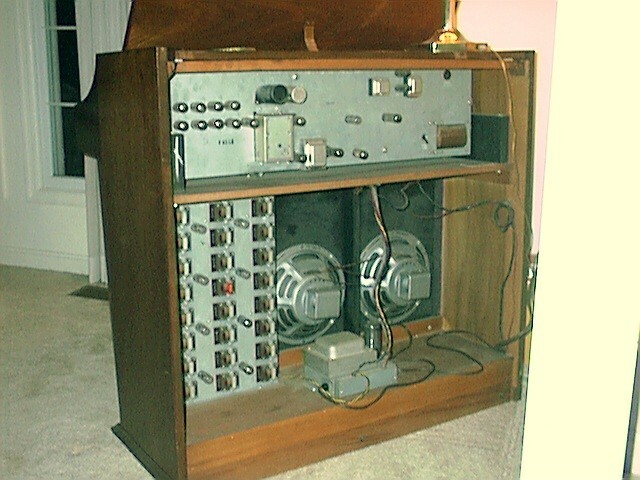 pkinsman@ozfm.com sent this one of his RT-2 This RT-2 started life in a radio station in 1953 and came to him in the 1990's. 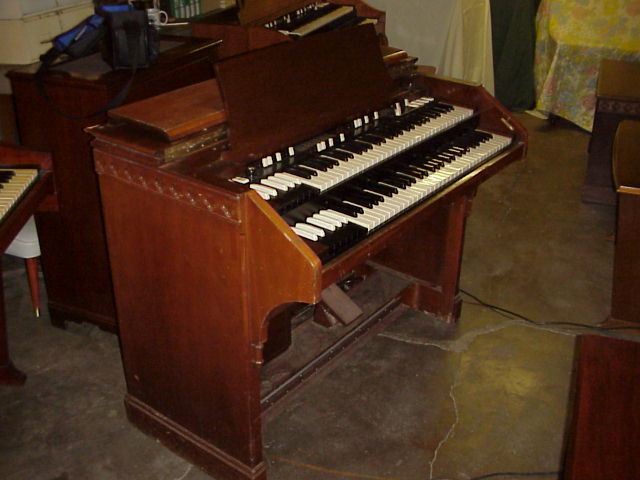 Came complete with a VT122. 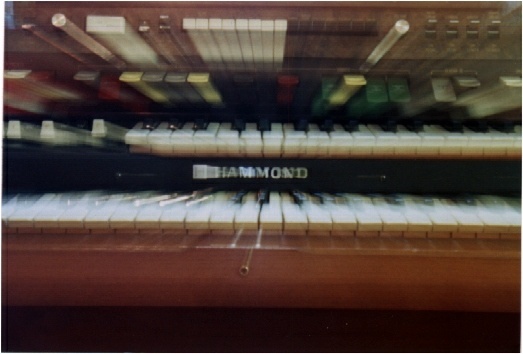 Here are some pictures of Mike Sweeney's Hammond F-100. 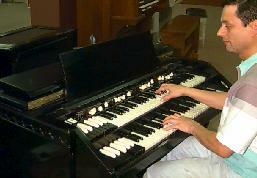 He received it in 1966 but it had been in a chapel for some time. This is all that is known about it . 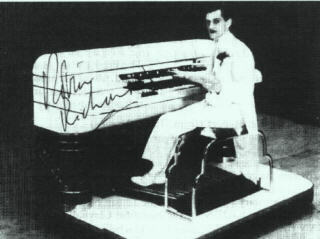 Hammond Technical Mailing List Archives and Subscription Information One of the Best Technical lists on the net.